Find out more about Folkstar and purchase “Into the Trees” or the full album at folkstar.net and/or download from iTunes or Amazon. My first listen of Bleeding Slow came as I was racing across the Arizona desert on my way back to the east coast from a meandering road trip. The thoroughfare of I-40 stretches from California all the way to Wilmington, NC and I thought it appropriate to pop in some music from home as I picked up the road that would lead me back. Indeed, I experienced a blend of travel euphoria and homesickness as the sun set at my back, driving drum beats countered by sweet melodies, a collection of songs that serves as a love letter of sorts, expressed with a distinctly North Carolina twang. 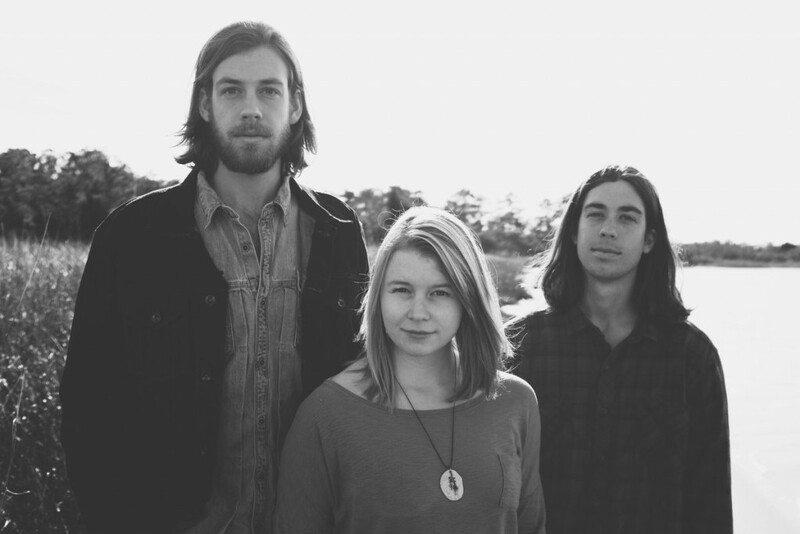 The core of Brothers Egg consists of brothers Jamie Eggleston (vocals, guitar, piano, banjo) and Hunter Eggleston (mandolin, vocals), and Suzanna Crist (violin, vocals). The three are joined by a cast of solid musicians, including their father Dave Eggleston on drums. Both Eggleston brothers began as drummers before leaning toward string instruments and expanding musical styles that lead to the founding of Brothers Egg. The title track, “Bleeding Slow,” is probably my favorite track, featuring Hunter Eggleston’s steady mandolin riff weaving throughout, along with harmonica that sounds like a train whistle, driving bass, and banjo. Lead singer Jamie Eggleston delivers his lines with passionate urgency, assisted by some nice harmonies throughout. The instrumentation on “Bleeding Slow” is lush and as close to rock as one can come armed with mandolins and banjos. “Moonbeat” highlights a catchy fiddle/mandolin melody and three part harmonies, with a lilting beat like ocean waves. The lyrics are based on a poem written by Jenny Eggleston, mother of the Eggleston brothers, who also did the album artwork. “Dance With Me” is a sweet serenade that could be the first dance at a picture perfect North Carolina wedding. Jamie Eggleston’s voice is passionate even as he almost whispers some of the lines, sweet and earnest. The band’s musicianship really shows about halfway through, when violinist Suzanna Crist takes the lead and kicks the tempo into high gear with a full on bluegrass jam. If you aren’t convinced to dance by the five minute mark, you must really hate dancing. The song changes again at around the six minute mark, easing into 3/4 time. At first I thought it was the beginning of another song and I was a little bit disappointed that it wasn’t, because I would have loved to hear where that beautiful melody was going. “After All”, the only song on which all three members of Brothers Egg share writing credits, addresses love within the context of mortality: “After all is said and done and washed away/We will fall back to mother earth from which we came.” The musical arrangement is a stark one, consisting only of two voices in harmony accompanied by guitar and violin. The stripped down nature really allows emotions to shine through, showing that sometimes simplicity is the right choice. The band moves into a more creative and experimental space on “Dreamer,” which alternates between a dreamscape feel on the verses and a rockabilly groove on the choruses. Andy Blair steps in for some nice guitar licks, adding a different texture to the song without being overbearing. “Take a Chance on Me” is straightforward, simple, and sweet, a heartfelt plea to convince a woman to take a chance on the “wild card,” a sort of bluegrass version of the Spin Doctors’ “Two Princes.” There is a great fiddle solo after the bridge, and a bonus banjo jam at the end by local folk/bluegrass legend Big Al Hall. The final track on the album feels very much like a group of friends hanging out in a living room having fun and playing music, complete with a “1,2,3!” lead-in, a typically bluegrass bass line, a hoot/holler or two, and some call and answer harmonies. 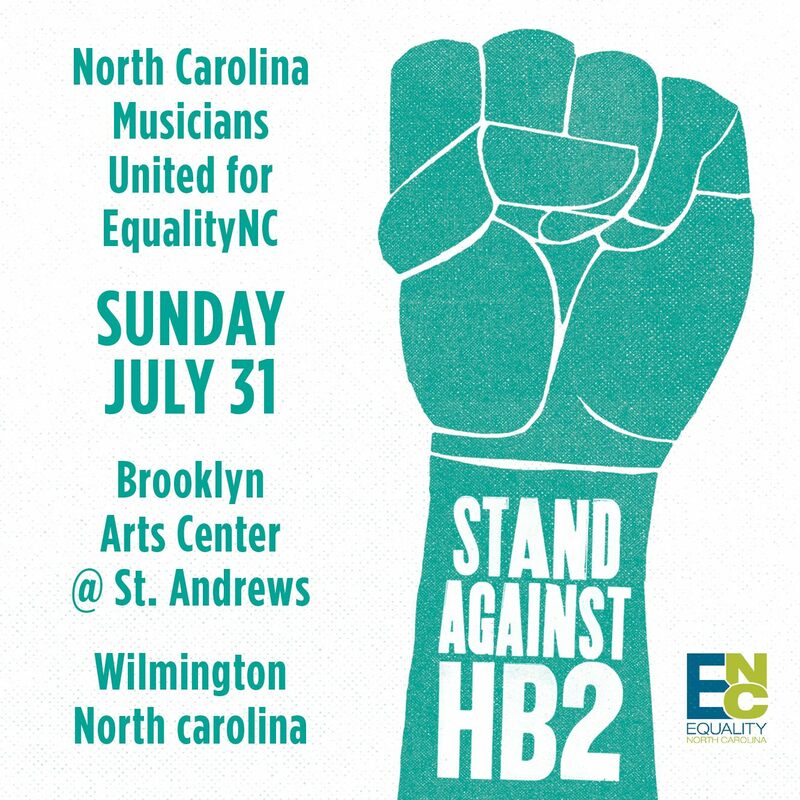 “Carolina Wren” is a short song, based on another Jenny Eggleston poem. 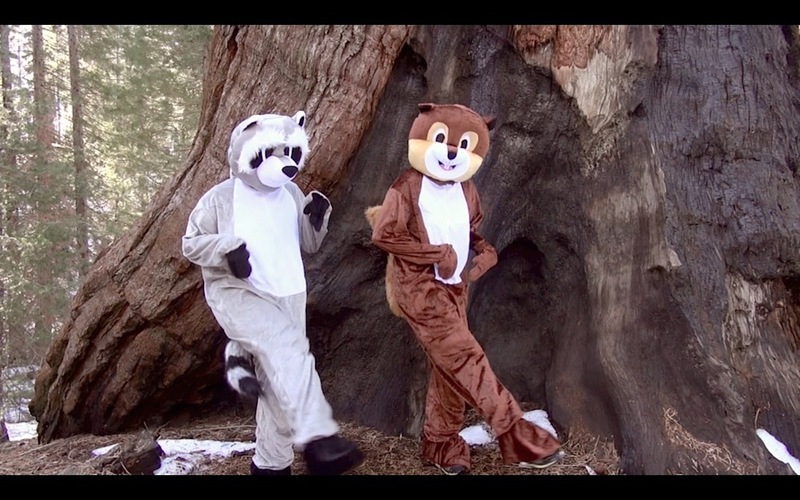 The music itself ends abruptly just after the two-minute mark, and the CD ends with almost a full thirty seconds of an actual wren singing, which I appreciate as a nature lover as well as a lover of unconventional album endings. Bleeding Slow is solid folk with some well-done creative embellishments, a showcase for Brothers Egg’s musical talent and ambitions, and a suitable choice for a Carolina-bound roadtrip. 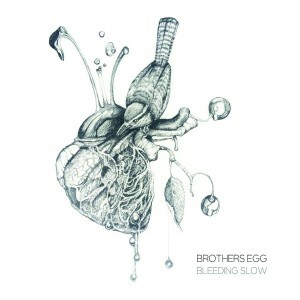 Learn more about Brothers Egg and get a copy of Bleeding Slow at http://brothersegg.com.